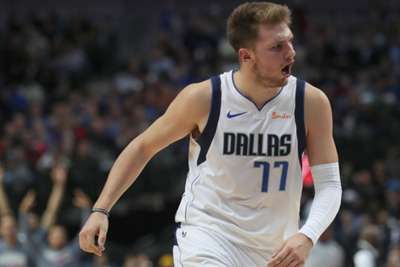 Luka Doncic led the Dallas Mavericks to a win over the Houston Rockets on Saturday and he did it in style. The 19-year-old Slovenian went on an 11-0 run in the fourth quarter, and sank a critical step back three-pointer that he has made seem effortless so far this season. Although he started off cold, Doncic finished with 21 points and seven rebounds in Dallas' 107-104 victory over Houston. Many were skeptical about Doncic's ability to compete with the athleticism and physicality of the NBA, but he has developed a strong following and is a favourite to win rookie of the year this season. The 13-11 Mavericks are eighth in the Western Conference and have played much better than expected so far. Doncic is averaging a team-high 18.1 points, and his continued success will be what determines how Dallas' season plays out.